We Make London asked Cecily and friend; Georgia Bosson to create a mural for their gallery/cafe at 6 Malden Road, Kentish Town. 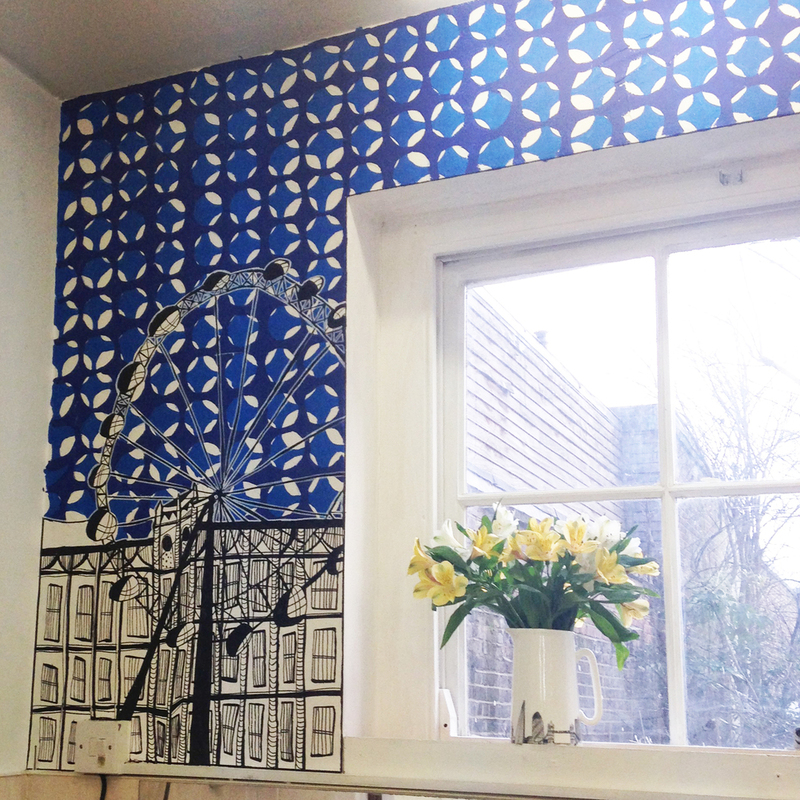 Cecily and Georgia decided to combine their two signature creations; Cecily's London Skyline and Georgia's 'Skeleton' print. Cecily hand drew the skyline and Georgia hand painted the print.